The 80's Toy Ark: What I'm NOT going to collect . . . If you read a lot then you might have picked up a book called The Happiness Project by Gretchen Ruben. In it she test drives the wisdom of the ages to see if it makes her happy. She gives lots of advice in the form of rules such as "Be Gretchen" (that is, be yourself), and "Do what ought to be done." One bit I picked up in the book that really struck me was the advice to "give something up." This is an interesting idea. How can giving something up make you more happy? It's simple. By giving up things you kind of love you make room for the things you really love. With that in mind, I decided to list some things that I will not collect, even though I think they are cute and fun and I find them all the time at thrift stores. They are cute, yet sort of creepy. 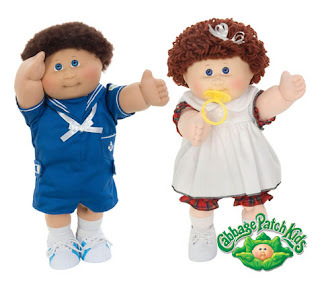 Even though I have a lot of good memories of these creatures of the cabbage, I decided I do not want anything but perhaps a good outfit for my My Child Doll. As time has evolved I have begun to look at them as too close to Chucky and not close enough to cuddly. Just looking at Jem zooms me back about twenty years into the past. That alone is tempting. But to be honest, while I loved the show, still love the artwork and respect the line, I find the dolls odd looking . . . even unsettling. I wish they'd do something like Bratz or Monster High with them . . . you know, ditch the androgyny and ramp up the stylistic aspect. Sure they are cute. Sure they are cuddly. And yes, I do want to get my hands on the poodles (I had them as a kid) but I draw the line there! The reason? There is no end. 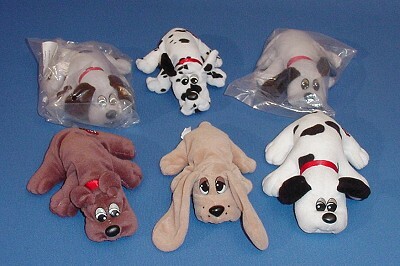 If I were to try and collect all the random permutations of Pound Puppies I would fill my entire house with them. If there were, say, twenty different and definite styles I would collect them. But as it is . . .
Do you know how many non-USA ponies are out there? THOUSANDS! Yes, if I even attempted to get my greedy paws on every 80's pony ever produced I would lose my sanity, my family and my marriage . . . not to mention money. 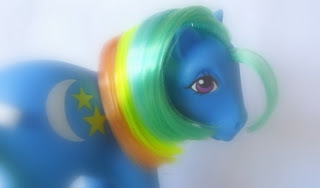 I love the vintage MLP line. They are gorgeous and awesome, but for now I am not setting my heart on every single one. At least I am trying . . . very hard. Pray for me. I love these too, but I only had a few and so, they gotta go off my list. 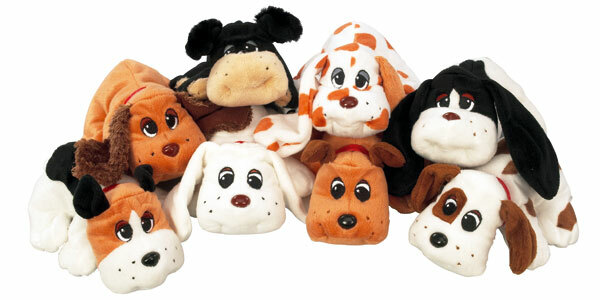 I just didn't love them as much as I love other 90's toys. I find them all the time though. I guess there's always trades. Actually, I had quite the TR collection going before I noticed Teddy was really creepy. And I mean really horror flick freaky. You don't think so? Turn him on in the dark. You will see. Ahh . . . the daily temptation that is THE TOY AISLE. And when I say tempted, I am talking salivating-on-your-pushcart tempted. There are so many cute things out there. And yes, I did grab up all the new Care Bear figures that came out in the mid-2000's but that was where I stopped. 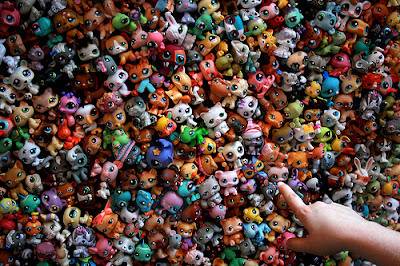 Strawberry Shortcake, Littlest Pet Shop, Polly Pockets, Disney, Moxie, Bratz, Monster High, Zoobles, Zhu-Zhu . . . I mean they are all so cute it's hard not to want to start on something that you don't have to troll the internet for. But I realized two truths: 1-The feeling of holding an old toy is what I enjoy. It is something that brings back a time of my life that was simpler. This is why I collect. 2-The toy companies may never stop producing these toy lines. We may be in 2030 and still be buying Strawberry Shortcake dolls for our great grandkids. So where do you draw the line? Plus, I like the challenge of finding old stuff. So I encourage everyone to think about what brings them the most joy and narrow things down a bit. It really does release a bit of tension on the bones. Repeat after me, "I don't have to have everything, I don't have to have everything, I do not have to have everything!" 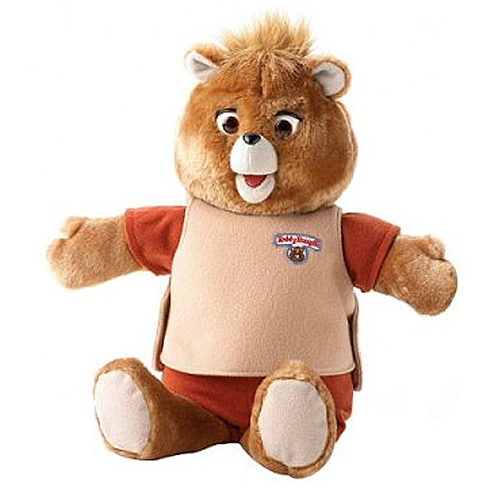 I feel the exact opposite about Teddy Ruxpin, I am just getting started with my collection. In fact my first blog post ever was about him. Nice blog! Vintage is the Best! I like the vintage Barbie-I have mine when I was growing up in the 70's. They are priceless to me. I have to admit its hard not to buy the occasional new one when they are only $1 at the DI-my latest is "Singing Brandy" so with that said I have narrowed it to searching for Barbie furniture and clothes. 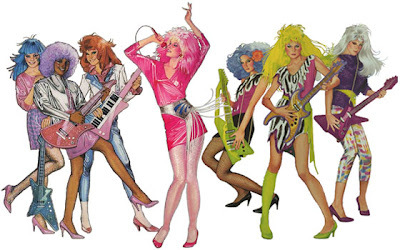 Vintage Barbie clothes are so hard to find & as you know the DI Barbies are naked-you can never have enough clothes. Recently I found 2 large zip lock bags at the DI for $10 ea. with accessories stuffed full-bargain! Those are pricy on ebay when you go for a lot of clothes. Do you collect the Bradley doll? 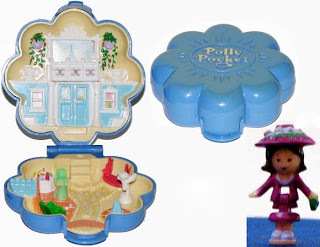 I would consider trading mine if you have any Barbie items-Let me know-the ones I have are in excellent cond. one is a sitter, one rotates with music-I have about 9 total. "But I realized two truths: 1-The feeling of holding an old toy is what I enjoy. It is something that brings back a time of my life that was simpler. This is why I collect."